but today I got on with cooking and preparing the food. and then how to make the jelly taste of gin and tonic – amazingly, that seemed to be working! 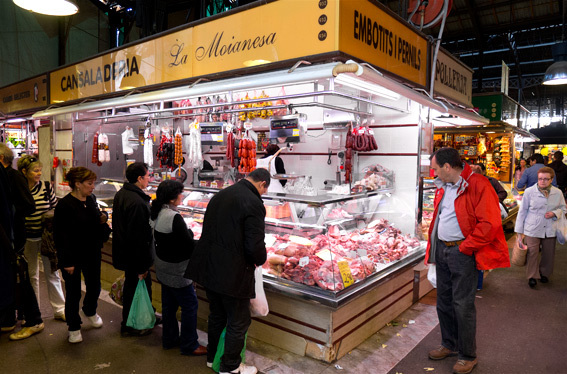 I got two trays of photo jelly into the fridge and went off to the Boqueria in search of some interesting ingredients to feed the opening night expo visitors. 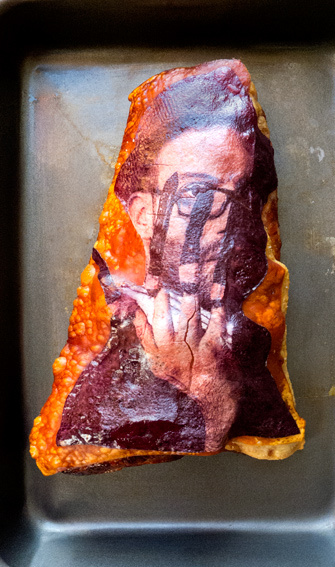 I went to buy two pork bellies intending to roast both of them and embed a large edible photograph into each one. 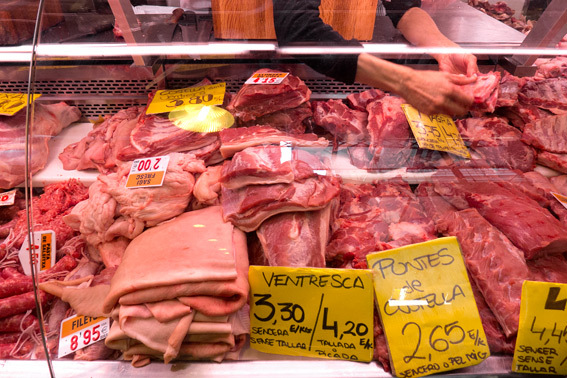 To my surprise – there seem to be about ten beef butchers and numerous stalls selling cured pork products in the market, but I could only find two pork butchers! I’m sure that the one I bought the bellies from (La Moianesa) was the best one, the lady who served me was so charming I nearly asked her out! 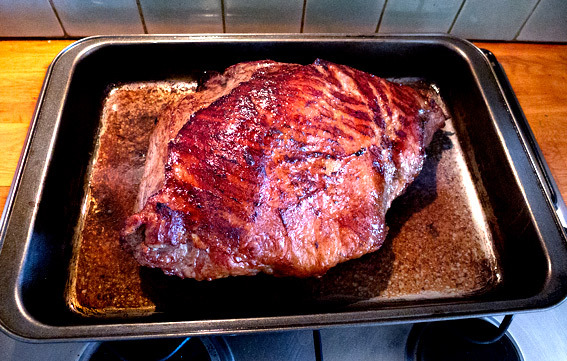 to purchase a good beef roasting joint to make English tapas (mini Yorkshire Puddings, with roast beef and horseradish). 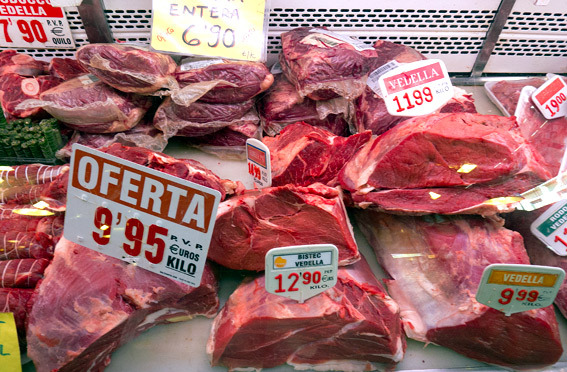 Once again I was given a very tender piece of meat weighing 2.7 kilos. before cooking it for 50 minutes in a fan assisted oven at 180º C and letting it cool down before wrapping it up and chilling it for tomorrow. 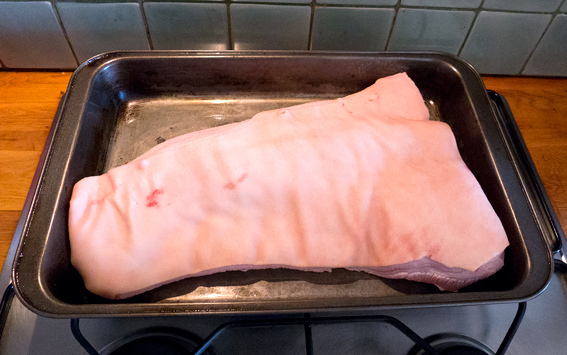 The two big pieces of pork belly were cooked separately for about two hours at 180º C – both weighed about 2.5 kilos. I scalded the skin with boiling water first, dried it and sprinkled on some salt. Normally I’d score the skin with a knife or scalpel, but I didn’t this time because it might be harder to get the photograph into the skin if it cracked too much. 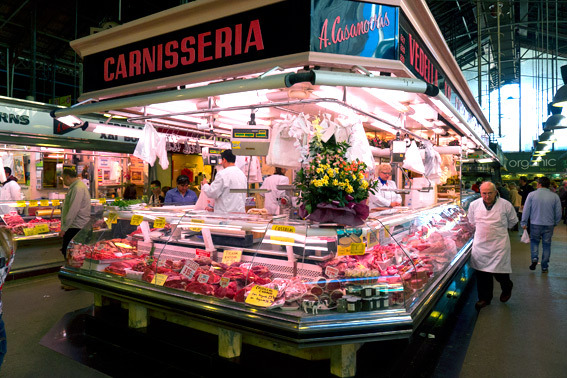 This entry was posted in Barcelona, Drink, Food, Meat, Recipes, Shopping, Spanish and tagged Eat Meat Gallery, gin & tonic, Homage to Cataluña, horseradish, jelly, La Boqueria, Olimax, pork belly, roast beef, Yorkshire Pudding. Bookmark the permalink. Incredible! I want a bite of the crispy pork skin! Looks like you are having fun while you work. Never saw an edible photograph in my life. Interesting and unusual. Can’t wait to see tomorrow’s post. That is amazing – you are the Heston Blumenthal/Ferran Adria of the blog world….so glad the jellies set too! Great job there dude, really impressed with the edible photos, and cracking joints of meat. Would the photos work on bread too? 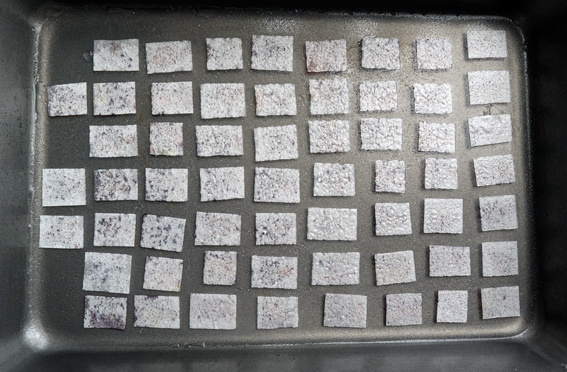 Thanks Marcus – the photos probably would work on bread, though the stickier things are the better the adhesion. You are amazing, MD! As much as I would have been wow’ed by the edible pictures and cocktail-tasting jellies, I’d have been drawn to those meat dishes like a moth to a flame. They, alone, would have been worth the price of admission. 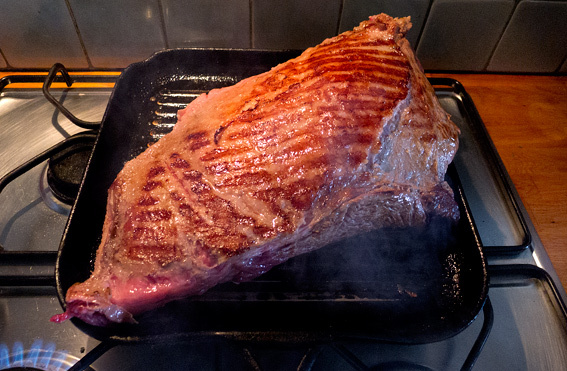 Thanks John – it was very hard not to slice bits off the meat for a little taste or two! 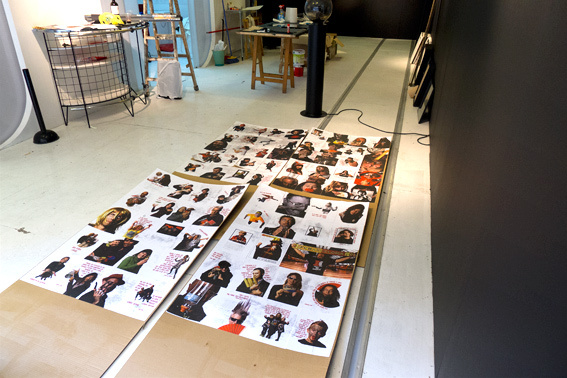 Hard work putting exhibitions together. The option of eating the work when it all gets too much is a neat idea. You can eat the work if it goes wrong, though I was glad that it all worked. 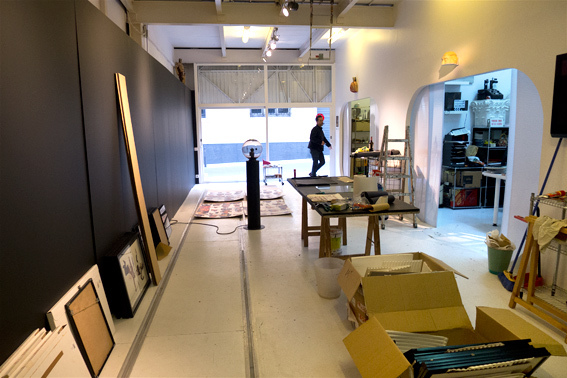 The people who run the gallery are quite fantastic and have put a lot of effort into getting the show hung and looking good! 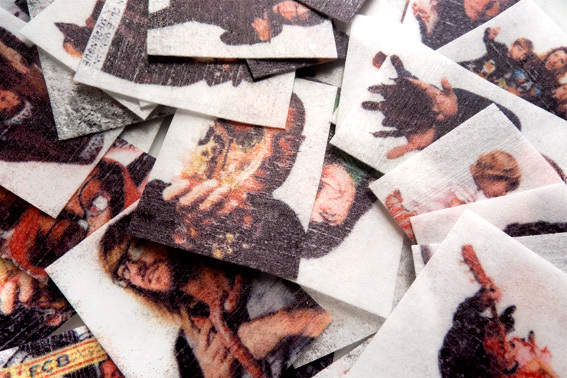 This is all so exciting – the idea of edible photos, the food, and I loved the video too. Is it OK if I link to it on my blog and blipfoto journal? Els espectacles de Mestre de la llum i l’alimentació The Mistress de pesat. 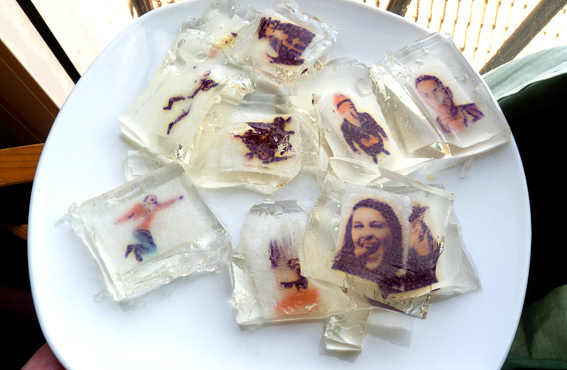 That is incredible, making edible photos – you are so clever!!! Imaginative and practical too. 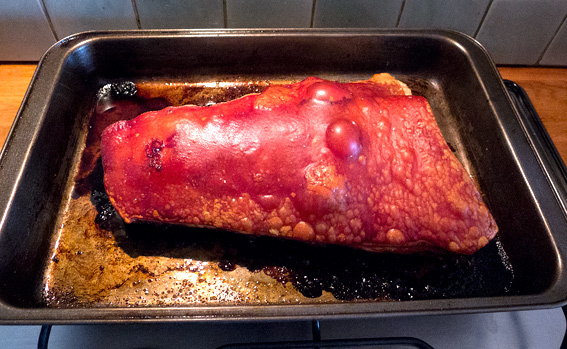 Wouldn’t have touched the pork, but very impressive visually!